High silica feedwaters pose two challenges for ultrapure water membrane systems. On the front end, silica can scale the RO membranes, limiting use of some feedwaters and high water recovery. 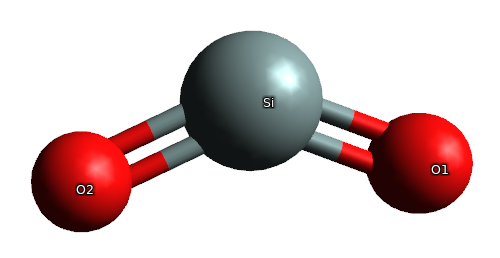 On the back end, silica can scale the IX resins in the electrodeionization (EDI). It is also a challenge to attain the very low ppb levels of silica in the ultrapure product water required by power and electronics applications. The use of a premium silica antiscalant, use of high-silica-rejection RO membranes, and use of CO2 removal technology can lead to successful RO-EDI systems even with high feedwater silica. Even with 1-pass RO. Even in regions of the world like Mexico and Japan where silica is often present in the 50-100 ppm range. This paper discusses 3 factors for successfully operating an RO-EDI ultrapure water system with high silica feedwater. Silica Saturation: 80-140 ppm, depends on temperature, pH, etc. Silica in natural waters ranges from low ppm levels up to saturation, near 100-120 ppm. Silica saturation depends primarily on pH, as well as temperature, alkalinity, and the other ions and metals present. Silica is present in solid form (colloids), in monomer form (reactive), and in silicate complexes with metals. Silica chemistry is complex, as reactive SiO2 exists in numerous hydrated forms, and weakly ionizes at high pH. Solubility of SiO2 begins increasing above about pH 7.8, and rises with temperature at all pHs. High silica levels are prevalent in volcanic areas of the world, such as Japan and Mexico, and in ground- and well-waters. Surface waters generally have less silica, and silica levels in seawater are vanishingly small. In this normal case, silica in the RO concentrate is below scaling potential/saturation. The silica in the RO permeate (electrodeionization feed) is less than 1 ppm, so won’t scale the EDI at 90% recovery. It is though above the nominal limit of 0.5 ppm SiO2 for EDI feedwater. In this marginal case, silica in the RO concentrate is at scaling potential/saturation. The RO will require a special antiscalant to prevent silica scaling. And the silica in the permeate is more than 1 ppm, so will likely scale the EDI. This case requires a special high-silica-rejection RO membrane like ExcellPureRO™. In this high-silica case, silica in the RO concentrate is over the scaling potential/saturation, so will require a premium silica antiscalant. Avista Vitec® 4000 will protect up to 320 ppm silica in the RO at 25C and pH 7.0. The silica in the permeate is more than 3 ppm, so would quickly scale the EDI, and is not recommended. This case requires a special high-silica-rejection RO membrane like ExcellPureRO™. As you can see from the examples, 1-pass RO systems running at reasonable recoveries can only operate with very low silica feedwaters (<20 ppm) without the use of silica antiscalant. Not all silica antiscalants are equivalent. Avista’s Vitec® 4000 is a premium silica antiscalant. Vitec® 4000 can prevent silica precipitation in an RO up to approximately 320 ppm, at pH 7., which allows RO systems to operate scale-free under a very wide range of conditions, including feedwaters in the 80-100 ppm SiO2 range, at recoveries in the 65-75% range. Other popular silica antiscalants can reach low- to mid-200 ppm range SiO2 in the RO. SnowPure recommends the use of Vitec® 4000 for RO-EDI systems making ultrapure water. Few RO membrane manufacturers broadcast the silica (SiO2) rejection of their membranes. Many promote the use of “low-energy” membranes. These low-pressure membranes are good for drinking water but are not suitable for industrial applications where silica and boron rejection are important. Yet they are marketed to these users anyway. Most low-energy, low-pressure RO membranes reject only 97-98% SiO2. This is too low for practical industrial systems. SnowPure recognized this as a problem, and has worked with a Japanese membrane manufacturer to offer the highest silica rejection RO membranes available. SnowPure sells high-silica-rejection RO membranes under the brand ExcellPureRO™. ExcellPureRO™ membranes achieve 99.2-99.4% rejection of SiO2 and 99.8% rejection of TDS. Further, the membranes are “right-sized” for Electropure™ EDI. One of the sub-optimizations of an RO-EDI system is to oversize the RO, and when it is run at lower pressure to match the flow needed for the EDI, it provides lower rejection overall. These membranes are designed to operate at 10 bar (150 psi) net operating pressure. With low-energy, low-pressure, “low-silica-rejection” RO membranes, the RO permeate levels of silica have high scaling potential in the EDI. With ExcellPureRO™ membranes, even a 1-pass RO can achieve in-spec SiO2 for EDI feed over a wide range of high-silica feedwaters. To achieve ppb levels of SiO2 in EDI product water, two things are necessary. First, the silica levels fed to the EDI should be as low as possible. Second, the FCE (feed conductivity equivalent) fed to the EDI should be as low as possible so that the EDI can effectively polish the silica. Electropure™ EDI can remove 97% of the feed silica as long as FCE is low (<9 uS/cm). FCE accounts for all species that must be removed from the EDI, including ions (conductivity), CO2 (CO2 & HCO3–), and SiO2. To lower the FCE of the EDI feed, removal of CO2 and HCO3– is critical. Inside the EDI, SiO2 and CO2 compete for removal, and since the pKa of CO2 is closer to neutral it is preferentially removed. There are 2 strategies to lower CO2/HCO3–. Raise the pH of the RO feedwater to the range 8.4-8.7 (often interstage injection of NaOH). Use Liqui-Cel™ GTM membrane degasser in the RO permeate, pH should be less than 6.1. For technique #1, at the high pH all CO2 has been converted to HCO3– and CO3-2, which are well-rejected by the RO membrane. The CO2 form passes the RO membrane. For technique #2, at pH lower than 6.1 most of the HCO3– has been converted to the CO2 form, and when a combination sweep gas (air or N2) and vacuum are used CO2 can be reduced up to 90% or so. SnowPure can run a projection for this, and recommend process design and process conditions. With this FCE, removal of SiO2 by the EDI should be up to 97%.